Networks are on board, but are consumers? Networks are beginning to show their support for RIM's upcoming platform BlackBerry 10, as people question its potential for success. The long delayed operating system from the Canadian firm has witnessed setback after setback, but it will finally launch on January 30 and there's already early support for it here in the UK. 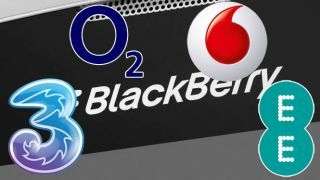 Three, O2 and Vodafone have released statements today stating their intent to range the new BlackBerry 10 handsets once they have launched. A Three spokesperson told TechRadar: "Three can confirm it intends to range BlackBerry 10 in the UK", while Vodafone said "we're planning to offer the new BlackBerry 10 when it launches on 30th Jan 2013. "We'll release more details on pricing and availability after launch." TechRadar then spoke to O2, who confirmed: "we will be stocking BB 10 handsets in early 2013." We've contacted EE to see if it will be joining the rest of the pack when it comes to BlackBerry 10 and while we're yet to hear back, we'd expect it to follow suit. Update: An EE spokesperson has told TechRadar: "EE can confirm that from launch, it will range BlackBerry 10 for consumer and business customers on its superfast 4GEE service, as well as on its Orange and T-Mobile UK brands. More details on pricing and availability will be announced in due course." Exact BB10 release dates and prices won't be announced until nearer the time (after the launch event at the end of January), but early support from carriers is the first step in the long path to possible success.